Life is a mystery we really don’t have all the answers…. Sometimes we need to hear so many No’s before we get the one YES, we might need to kiss so many frogs before we find our prince charming… The road to success is fraught with pain and rejection but each NO takes you closer to your big YES… Always remember you will need only one YES to make you big break! Be it business, relationship, job offer, marriage proposal etc. Coping with rejection allows us to manage the rejection in healthy ways and can help us come out a better person. Spend time to lick your wounds (wallowing): When your ego is bruised by rejection, just wallow for a little while. Remember your childhood days when you fell down and scraped a knee or bumped your head? Remember how good it felt to be hugged and soothed? Wallowing allows you to push through the unpleasantness of rejection while indulging and soothing your banged up ego. Retreat to your sadness for a couple of hours but no more than one day to lick the wounds to address and identify your emotions following a rejection. Then move forward. Find ways to let off steam: Have a fit, throw things, kick something inanimate, punch your pillow, cry, whine, wail, and do whatever it takes to power through the residual emotions of anger, sadness, and perhaps fear associated in the wake of rejection. Get it all out of the way in a private space in the company of only yourself. Release the rejection and let it go…it’s great for your battered soul. Channel Your Bad Feelings…. (use your pain to create something)I always have this saying when I’m in pain I write when I am at peace I read… my best write ups are done when my soul is grieving… it applies to most artist, poets, musicians song writers… the greatest art are often as a result of a terrible tragic experience… that is when the soul speaks. With this in mind we should rise above our rejection and use it as an opportunity to channel the pain positively. Use the feedback for your benefit: Every experience no matter how bad it may seem, gives us feedback. Utilize the criticism related to your rejection as means to improve. Rejection provides growing room and the chance to learn. 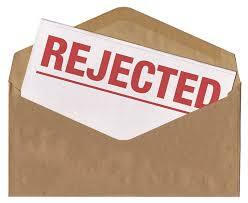 Most forms of rejection provide ample clues on how to approach a project or proposal that fell a little short. Use whatever suggestions are provided in relation to the rejection to hone in on your shortcomings and improve the quality of your submissions, tactics, and self. Learn, but don’t let rejection get you down. Evolution may have hardwired us to take rejection badly, but rational thinking allows you to give it its proper perspective. The next time you’re feeling rejected, blame circumstances rather than yourself, take any feedback positively and get back in the game. Let Go Of Perfectionism: No one is perfect. Accept it now and save yourself the headaches related to even trying to be perfect. When one clings to perfectionism, no progress can be made. We all make mistakes. We’re all vulnerable. We all fail. Accepting what we are, as we are, is vital and integral to our overall well-being. We should Use the rejection as means to uncover and determine where we went “wrong” so that we can do it better in the future. Rejection its part of life like failure: Rejection is just as necessary as success as it only reminds us that we are still living. And life is good. Don’t judge a rejection. Just like we can’t judge a book by its cover, don’t judge rejection as a negative. What is initially perceived as a loss or failure often may entirely be something else. Use the rejection as productive means to change, learn, evolve, and improve. Without rejection or at least running the risk of rejection, we will never meet our goals. 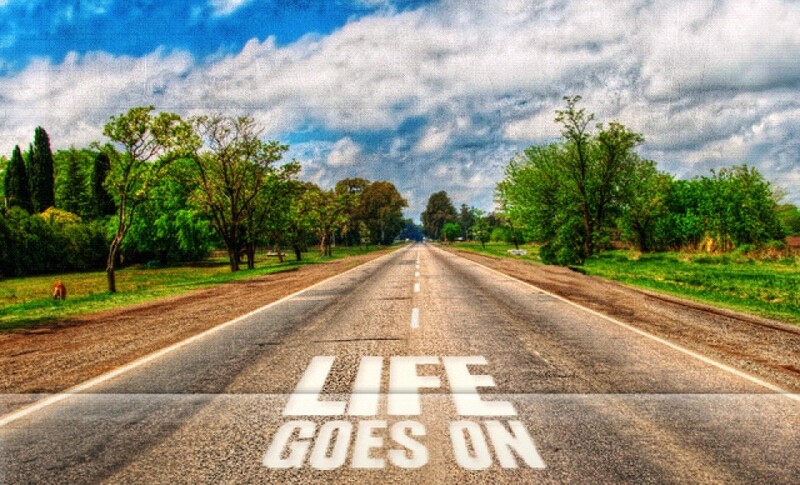 Everything happens for a reason. When one door closes, another opens but we often look so long and so regretfully upon the closed door that we do not see the one which has opened for us.